You can call me fashionably late to the green smoothie party that started a couple years back. I’ll take it. It’s one of those parties that you can join as late as you want and still take part in the fun. I’ve got a Kitchen Aid Blender so I’ve always felt intimidated by green smoothies. I’d think to myself, “No way is my regular ole’ blender going to chop greens! I’ll end up sipping on chunks of spinach!” That’s a big “EW” in my book. So while everyone and their Mom downed deliciously beautiful green drinks, I watched from a far and sipped my boring fruit smoothies with serious smoothie envy. It wasn’t until the recent spring weather emerged from a way-too-long-winter that I felt inspired to kick the blender back into action. Inspired by the words of John Lennon, I thought let’s give green smoothies a chance…Or, was it peace? Hm. Now I understand that my hesitation to the world of green smoothies doesn’t match everyone else’s reasons for apprehension. I know that the idea of adding greens to smoothies can seem counterintuitive or downright yuck. 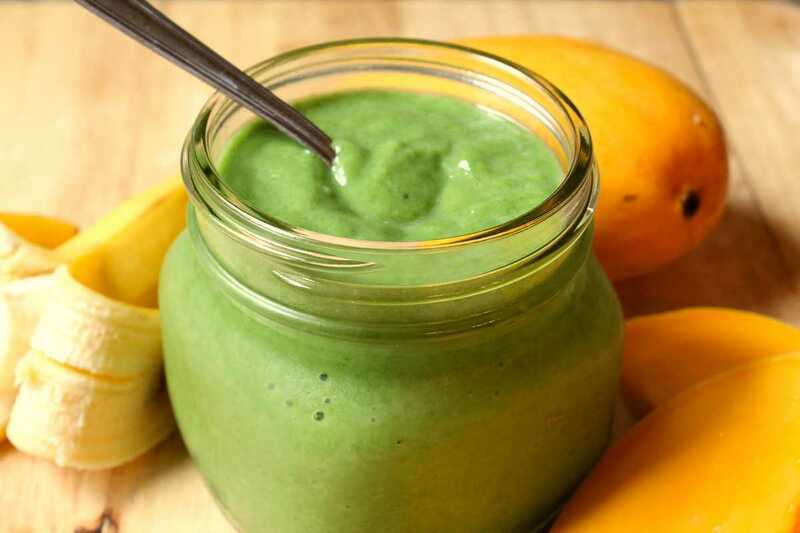 But, the beauty of green smoothies is that the fruit you add will mask the taste of the greens so that you can sip and reap the nutrition benefits without puckering your face. 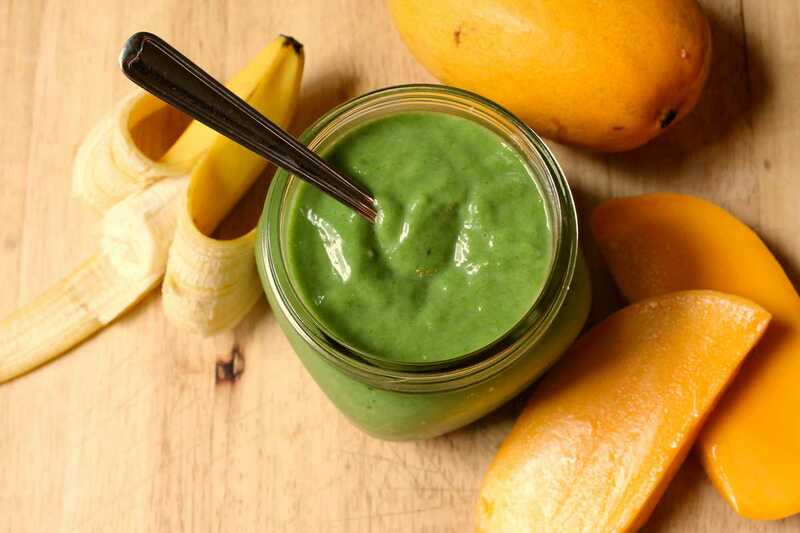 This green smoothie is a good starter smoothie for those that are hesitant to go green – I couldn’t taste the spinach at all! 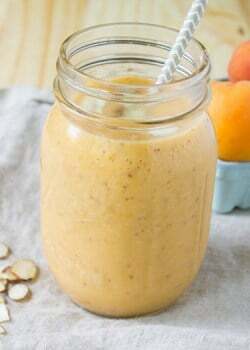 Add all ingredients to the blender and blend until pureed. 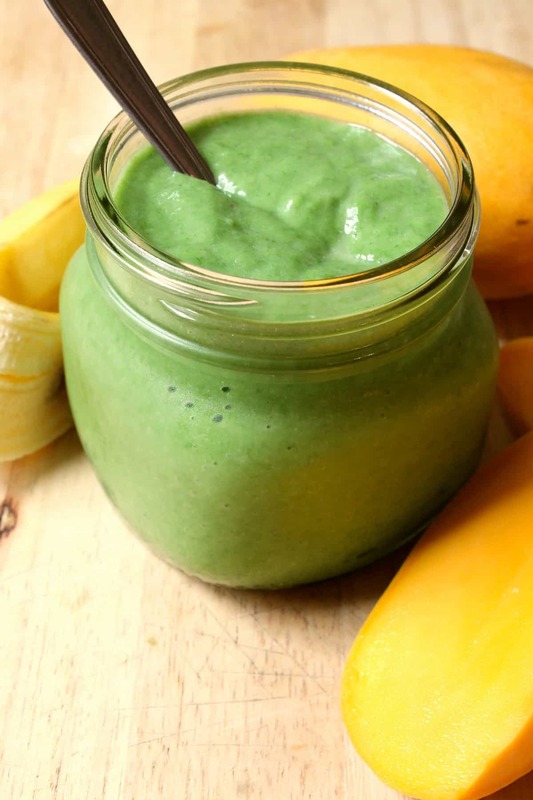 This smoothie is a nutritional powerhouse – an excellent source of vitamins and minerals, including iron, fiber, vitamins A and C.
Yum, so luscious and vibrant green! 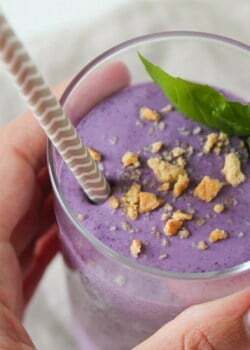 This looks perfect for summer, can’t wait to blend one up! 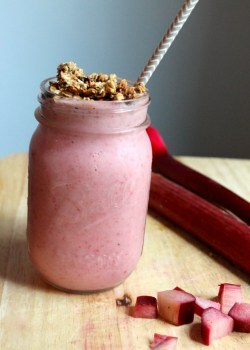 I made almost this exact same smoothie this morning. I used grapefruit juice in place of coconut water, and added cucumber, ginger, and fresh mint! Great minds…Oooooh fresh mint in smoothies is the best!